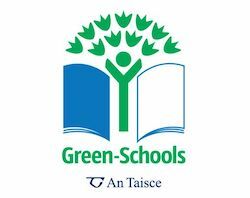 Green-Schools, known internationally as Eco-Schools, is an international environmental education programme, environmental management system and award scheme that promotes and acknowledges long-term, whole school action for the environment. Eco-Schools is operated by the Foundation for Environmental Education (FEE) whose main partners include the United Nations Environment Programme (UNEP) and the United Nations Educational, Scientific and Cultural Organization (UNESCO). We have implemented new school policies to adhere to the programme. Keep an eye on our Green School pages for all the updates.